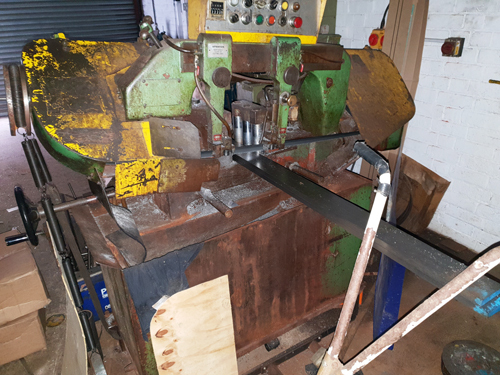 Please see the Horizontal Bandsaws, machines and tools available listed below. ADDISON HBS 280 BANDMASTER HORIZONTAL BANDMASTER 280mm Diameter Capacity : Variable Speeds : Swivel Vices : Coolant. 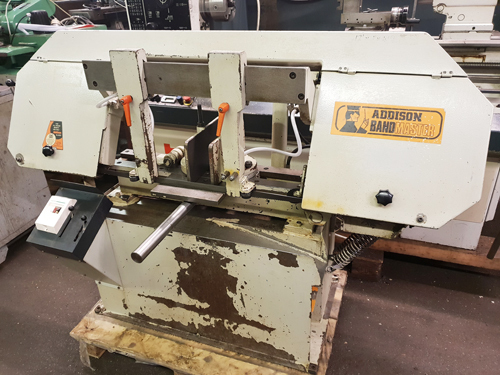 ADDISON H5550 SEMI AUTOMATIC TWIN COLUMN HORIZONTAL BANDSAW Capacity 500mm Diameter : 6 Blade Speeds 17 - 75 m/min. : 7.5 HP Motor : Blade 4880 x 41 x 1.3mm : Hydraulic Blade Tension : Hydraulic Down Feeds : Roller Tables : Coolant. 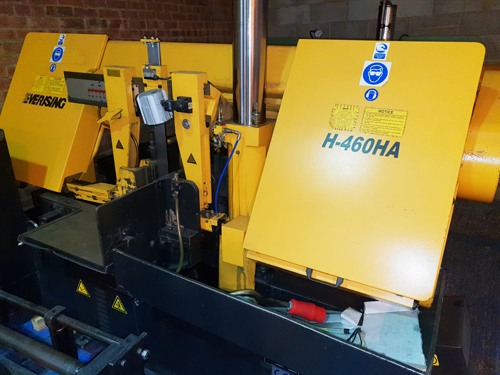 EVERISING H460HA AUTOMATIC TWIN COLUMN HORIZONTAL BANDSAW Capacity 460mm Diameter : 6 Blade Speeds 20 - 120 m/min. : 7.5 HP Motor : Blade 4880 x 41 x 1.3mm : Hydraulic Blade Tension : Hydraulic Down Feeds : Roller Tables : Coolant. Please check back regularly as our stock of used Horizontal Bandsaws and machines is constantly changing.